Normally, any shipments of wood tend to be shipped from Brazil to the UK. However, we have bucked the trend and have shipped a substantial number of hardwood fire doors (FD30 which stands for thirty minutes fire protection) and fire door fittings to the British Embassy in Brazil! The British Embassy Brasilia is responsible for all political and cultural relations between the UK and Brazil. All members of the Embassy need to be protected against the spread of fire in the event of emergency. Fire Doors help to reduce the danger of fire spreading, and allow more time to escape from a building if a fire were to occur. 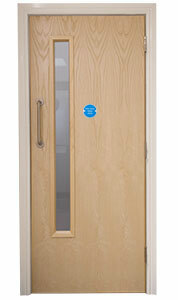 Buying fire doors from Safelincs is very easy, as we have a fire door configurator that takes our customers through very clear step by step process until at the end the customers have a fire door with the exactly right dimensions, the right glazing (if required) and all fire door hardware needed for the customer’s application.